Going back in history, interactions between Xi’an, an ancient Chinese capital in the northwest and the starting point of the Silk Road, and Rome, the end of the ancient trade route, made trade, goods and cultural exchanges flourish between the East and the West. Today, with the world undergoing unprecedented changes, the agreement between China and Italy to cooperate on the Belt and Road Initiative, signed during Chinese President Xi Jinping’s state visit to Italy, will not only inject a new and powerful impetus into bilateral relations but also make the initiative broader, more inclusive and win-win. Cooperation in various fields under the Belt and Road framework will be an opportunity for Italy to boost its economy against increasing challenges. The Italian economy shrank by 0.1 percent in the third and fourth quarters of 2018, falling into a so-called technical recession. The annual economic growth rate was only 0.1 percent, far lower than the average 1.1 percent in the eurozone. The unemployment rate was as high as 10.5 percent in January, second only to Greece and Spain among the EU members. 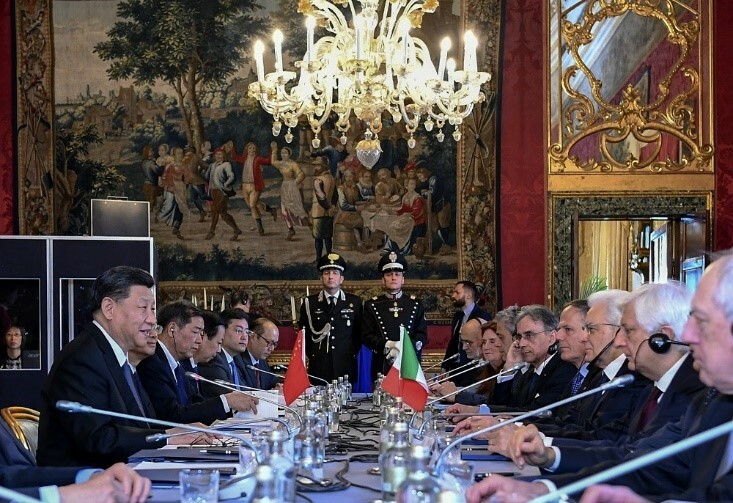 Chinese President Xi Jinping and his Italian counterpart, Sergio Mattarella, hold talks in Rome, Italy, on March 26, 2019. At the same time, the budget standoff with the EU last year showed that it is hard for Italy to boost domestic demand by expanding public expenditure. 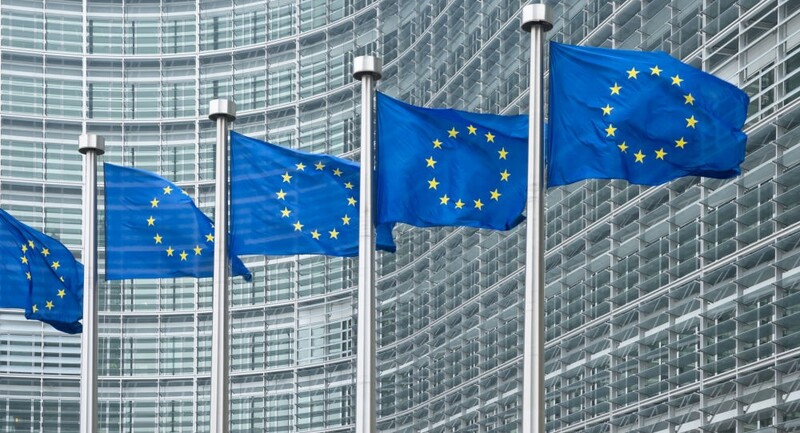 Being members of a single-currency bloc, EU countries have to follow a set of fiscal rules laid down in the intergovernmental Treaty on Stability, Coordination and Governance to ensure members coordinate their spending policies and maintain sound public finances. The Italian Government’s budget draft was rejected by the European Commission as exceeding debt limits, forcing it to revise the budget. Finally, the rising global trade protectionism, especially the trade frictions the United States has provoked with major economies, has made the Italian economy, which relies heavily on exports, face new challenges. 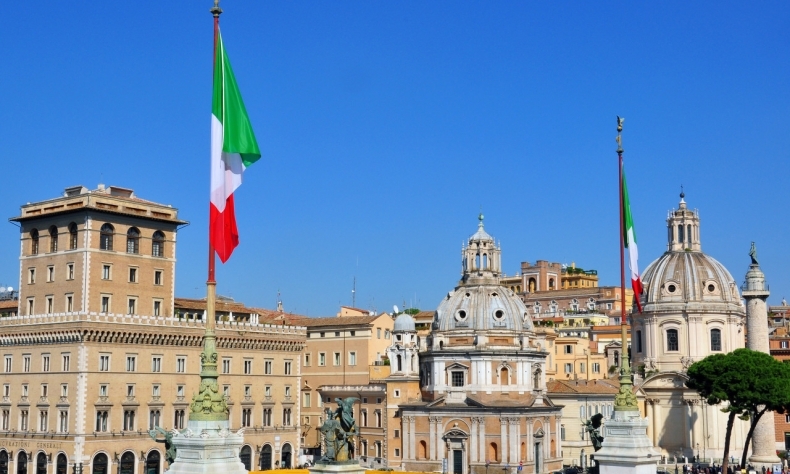 Though Italy has tried to cultivate new demand and driving force to vitalize the economy, the challenges it faces both internally and externally are hard to overcome. However, the Belt and Road cooperation is anticipated to change things. Italy currently has a large demand for infrastructure investment. According to Eurostat data, its infrastructure investment in 2018 was 40 percent below the pre-crisis peak and far below the eurozone average. The insufficient investment is particularly visible in urban transport. With closer integration into the Belt and Road, Italy may be able to shake off its insufficient public financial capacity and get more investment in infrastructure, including multi-party financing from institutions like the Asian Infrastructure Investment Bank (AIIB). In embracing the Belt and Road Initiative, Italy, located at the crossroads of the Mediterranean, can see its geographical advantages fully utilized. Its ports such as the ones in Trieste and Genoa can be upgraded and their handling capacities promoted, revitalizing Italy as a new land and sea transportation hub. 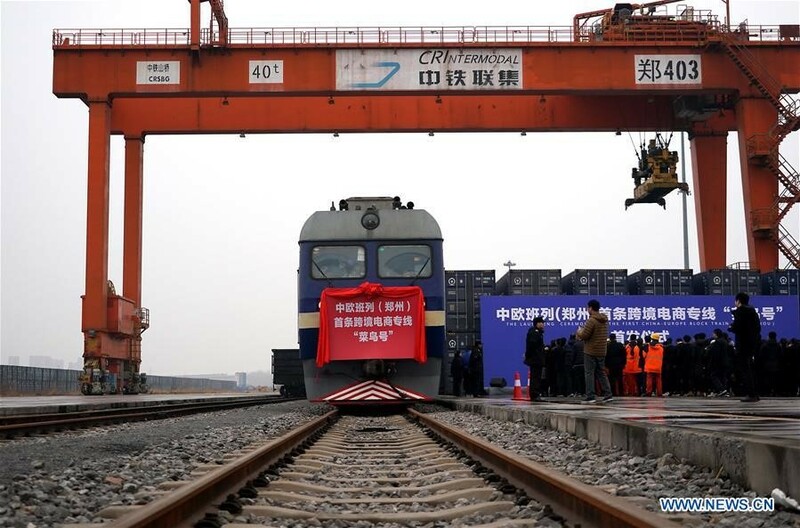 The result will be a long link connecting countries from China to Central and Eastern Europe and beyond to the Middle East and North Africa. While small and medium-sized enterprises are the backbone of the Italian economy, cities like Milan also define the country with their fashion brands and creativity. The manufacturing industry, with its unique advantages in gas turbines and aerospace, has always been synonymous with high-end and customized products. Through capacity cooperation, Made-in-Italy products will see more opportunities, more capital and broader markets. With the memorandum of understanding, the willingness and motivation for Sino-Italian industrial capacity cooperation will be boosted as never before. Italy specializes in precise manufacturing and high-end designing, while Chinese companies are adept at production capacity and are familiar with Asian markets. The complementary advantages of the two sides will encourage enterprises to further their investment for mutual benefits. There are huge incentives for Chinese enterprises to invest in Italy. According to data published recently by the American Enterprise Institute for Public Policy Research, China’s total investment in Italy from 2005 to 2018 was $24.99 billion, while it invested $41.68 billion in Germany and $85.33 billion in the UK. Italy, as the third largest economy in the eurozone, offers many opportunities for Chinese companies. The future investment between China and Italy is likely to move toward greenfield, that is, using local advantages in talent, technology and scientific research to set up research and development centers or new production lines and create new values, employments and taxation. This will not only create greater opportunities for Italian high-end workers, but also form a positive cycle bringing economic benefits to Chinese and Italian companies and economic and social benefits to the country. Greater people-to-people exchanges will be another highlight of China-Italy cooperation under the framework of the Belt and Road Initiative. In the days of the Western Han Dynasty (206 B.C.-A.D. 25), Chinese silk and porcelain arrived in Rome along the Silk Road. In the Yuan Dynasty (1271-1368), Italian explorer and writer Marco Polo came to China and introduced what he saw and heard there to Europe for the first time, setting off an astonishing “China craze.” In the 20th century, Italian composer Giacomo Puccini began writing the opera Turandot, basing the story in China. 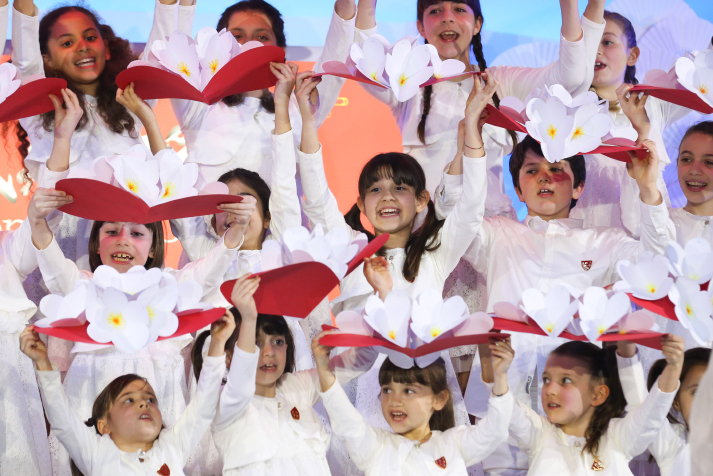 The theme song of the opera, Jasmine, became a symbol of the Chinese culture. 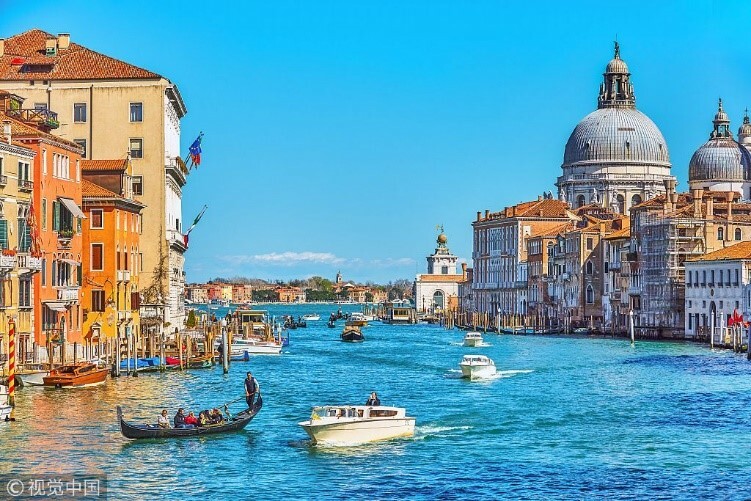 Italy today is one of the most popular destinations for Chinese tourists, and its opera, football, movies and food are widely appreciated by the Chinese. As the cooperation deepens, academic exchanges, literary and artistic performances, sports competitions as well as tourism will be facilitated. The initiative will not only pave the way for trade and investment but also for people-to-people exchanges and exchange of civilizations. The Belt and Road Initiative is a cross-regional economic cooperation initiative to be built and shared by the world as a whole, as well as international public goods for more inclusive global development. Italy’s participation highlights the inclusiveness of the initiative, which not only brings opportunities to developing countries but also to some of the most developed ones. At the same time, as a member of the Group of Seven and a founding member of the EU, Italy will contribute its wisdom to the initiative. For example, it can provide valuable suggestions on how to conform to EU rules and standards, respond to social and economic concerns between the East and the West, and promote transparent and high-standard development of the initiative as well as of some multilateral cooperation institutions such as the AIIB. Italy can also contribute to third-party market cooperation under the framework of the Belt and Road Initiative. Developed countries are interested in promoting their companies in Asia, Africa and the Middle East, and want to utilize the opportunities provided by the development-promoting blueprint. With the agreement, cooperation in third-party markets will be a priority for the two countries. In fact, Italy already has some outstanding achievements in overseas markets in the energy, infrastructure and finance industries. Its oil and gas giant Eni has been deeply involved in the Middle East and Africa for many years, and has accumulated rich experience there. As Chinese and Italian companies gradually establish business partnerships in third-party markets, it will help Chinese companies to standardize their operations while going global and adapt to local and European business rules. Italian companies can, in turn, use the capital and construction capacity provided by Chinese companies to expand their overseas layout and enter their dream blue ocean markets. Third-party market cooperation between the two countries will become a model of cooperation between developed and developing countries and countries along Belt and Road routes. It will prove to the developed countries in the West that the initiative is inclusive and can truly bring about win-win benefits.